The Beatles Through The Years: The Beatles Popularity In Liverpool. The Beatles Popularity In Liverpool. 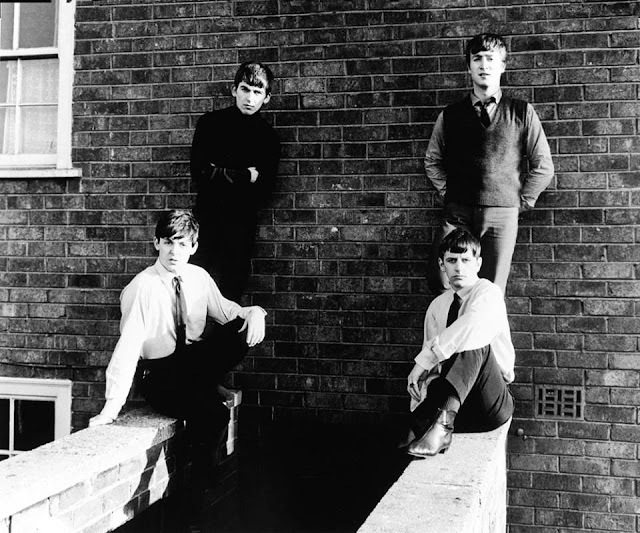 Just Four Fab Boys From Liverpool: The Beatles at 20 Forthlin Road in 1963. Upon their return from their first trip to Hamburg in 1960, The Beatles popularity in Liverpool started with a bang, their appearance at Litherland Town Hall caused the young teens of the city to become enraptured with them. Before that, they had been considered by many of their contemporaries to be "no good" and a "bum group" but that trip to Hamburg, Germany changed them. Over there, their raucous playing of Rock and Roll became huge amongst the people that frequented the Reeperbahn. They couldn't get enough of this band and their playing just got better and better. Upon their return to Liverpool, they were treated as if they were a German group, with their new fans remarking that they spoke good English. Their popularity in Liverpool reached its peak in 1962, by then they'd made over a hundred appearances at the Cavern Club on Mathew street and under their manager Brian Epstein, they were growing out of Liverpool. After 1962, the Beatles became the most famous band in Britain and then after that, the world. Liverpool continued to watch its most famous sons become more successful with each passing year. Today, their childhood homes and the places they touched are Liverpool's most coveted tourist attractions and they'll forever continue to be so, because of the Beatles. I like performance style of this band. It is so nice. I love The Beatles and have almost all albums in vinyl. Great sound and harmonies.